Obtaining a top-ranked Criminal Justice degree can set you up for a steady career that makes a significant impact on the general welfare of all. There are a wide variety of professions that are launched from an educational foundation in public safety and criminal justice. For example, students with a bachelor’s degree in Criminal Justice can work as a detective with a median pay of $56,980 per year, a probation officer with a median pay of $48,190 per year, a forensic science technician with a median pay of $52,840 per year, a crime scene investigator with a median salary of $76,730 per year, and even an FBI Agent with starting pay around $61,000 per year. Furthermore, a bachelor’s degree in criminal justice can lead to a career in homeland security which contains over two dozen professions in itself. Needless to say, criminal justice is a dynamic field with a wide range of options for people who are passionate about serving their community and making the world a better place. Our Smart Choice ranking of online bachelor’s degree programs in Criminal Justice will help you make a smart choice about which program is right for you. In developing our Smart Choice ranking of the best online undergraduate Criminal Justice programs we only considered online programs that are regionally accredited and universities listed in the National Center for Education Statistics database. Qualifying Criminal Justice schools were then evaluated and ranked based on publicly available information on awards & recognition, academic quality, flexibility, accessibility, and affordability. We believe all of the top online Criminal Justice programs included in the ranking are a smart choice because they offer marketable, high-quality, accredited Criminal Justice degrees online and at a good value. Our hope is that you find the list useful on your journey towards the online Criminal Justice degree program that is the smartest choice for you. Founded in 1945, Roosevelt University is a non-profit university with two campuses located in downtown Chicago and suburban Schaumburg, Illinois. Approximately 6,100 students are enrolled in the university. Accreditation is provided by the Higher Learning Commission of the North Central Association of Colleges and Schools. Program Details: Roosevelt offers two online B.A. programs in Criminal Justice. One is a more traditional online program. The other is a fast-track program built for students over the age of 24. The fast-track program has small, 8-week long courses that are can be taken all year. All online classes are taught by regular Roosevelt faculty members. Online students have full access to the RU Library via web services and via embedded course librarians as well as access to 24/7 technology support. Students must complete a minimum of 120 applicable credits in order to graduate with a B.A. Notable Recognition: GetEducated.com ranks Roosevelt University #44 on the list for Best Online Bachelors Criminal Justice with regards to affordability. With a flagship residential campus in Parkville, Missouri and 42 centers in 21 states and online, Park University is an independent, non-profit private institution of higher education. 18,763 students are enrolled in programs at the university. Park is accredited by the Higher Learning Commission and is a member of the North Central Association of Colleges and Schools. Program Details: Students at Park can get an online A.S. or B.S. in Criminal Justice with optional concentrations in Law Enforcement, Corrections, and Security. Furthermore, the school offers an online Bachelor of Public Administration with concentrations in Criminal Justice, Homeland Security, and Fire Service Management. Students must complete a minimum of 120 credits with a cumulative GPA of 2.0 to 2.5 (depending on the program) to be eligible for graduation with a bachelor’s degree at Park. Tuition for online undergraduate programs is $385 per credit ($46,200 for 120 credits). Notable Recognition: The college is #27 on GetEducated.com’s list of Best Online Bachelors Criminal Justice programs in terms of affordability. The U.S. News and World Report ranks the school #164 on the list for top online undergraduate programs. Initially established in the 1930’s as an extension of Syracuse University, Utica College became a legally independent private school of higher education in 1995. Around 4,000 students are currently enrolled in the university. The Middle States Commission on Higher Education provides accreditation. Program Details: Utica College offers several online options in the field of criminal justice. The school has three online graduate criminal justice programs: an M.S. in Economic Crime Management, an M.B.A. with an emphasis in Economic Crime and Fraud Management, and an M.S. in Cyber Security. The school also offers three online undergraduate programs in a field related to criminal justice: a certificate in Financial Crimes Investigator, a B.S. in Cybersecurity and Information Assurance, and a B.S. in Economic Crime Investigation. Both B.S. programs are completion programs which means that applicants must have already completed at least 57 applicable credits towards the degree. Tuition per credit hour for the B.S. in Economic Crime Investigation is $400. The tuition for the online B.S. in Cybersecurity is $425 per credit. Notable Recognition: The college is #29 on GetEducated.com’s list for most affordable online bachelor’s degree in the field of criminal justice. Founded in 1932, The University of Great Falls is a private, Roman Catholic liberal arts university in the town of Great Falls, Montana. The school has slightly over 1,100 students enrolled and a faculty to student ratio of 12 to 1. Regional accreditation is provided by the Northwest Commission on Colleges and Universities. Program Details: The University of Great Falls offers an online Associates in Criminal Justice, an online B.S. in Criminal Justice, and an online/hybrid B.S. in Legal and Paralegal Services. Classes are small and use various platforms for different degree programs. Tuition for undergraduate distance learning courses at the university is $647 per credit. Notable Recognition: The university is ranked #43 on GetEducated.com’s list title Best Online Bachelors Criminal Justice in terms of affordability. The University of the Incarnate Word is a private Catholic university in San Antonio, Texas. Around 8,700 students are enrolled in the university. UIW is accredited by the Southern Association of Colleges and Schools Commission on Colleges. Program Details: All of the programs at UIW integrate the five tenets that lay a foundation for the mission of the university; Faith, Innovation, Truth, Education and Service. The university offers an online B.S. in Criminal Justice with optional concentrations in Homeland Security and Counter Terrorism, Criminal Investigation, Juvenile Justice, and Digital Forensics. UIW offers a very flexible program and supplies free textbooks to students. Courses are asynchronous, 100% online, and taught in accelerated 8-week terms. Tuition is $495 per credit for the 120 credit B.S. program ($59,400 total). Notable Recognition: U.S. News and World Report places the University of the Incarnate Word #179 on the list for top online undergraduate programs. West Texas A&M University is a public university located in Canyon, Texas. As the name indicates, the university is part of the Texas A&M University System. Nearly 8,400 students are enrolled in courses at the university. The Southern Association of Colleges and Schools provides accreditation. Program Details: The university has a B.S. and a B.A. in Criminal Justice that can both be completed 100% online. That being said, every class is not offered online each semester so students enrolled in the programs need to plan accordingly. Both programs are 120 credits. Online classes at WTAMU are facilitated through a platform called WTClass. Lessons are posted by the professor with detailed lecture notes, reading materials, or videos. WTClass offers a 24/7 live tutoring service through a program called Smarthinking. Tuition and fees vary depending on residency, the number of hours student is taking, and the amount of applicable hours a student has acquired. Freshmen from Texas who are taking 15 hours can expect to pay $3,372.10 per semester. Freshmen who are not residents and who are taking 15 hours can expect to pay up to $4,127.44 per semester. Notable Recognition: West Texas A&M is ranked #153 on U.S. News and World Report’s list for top online undergraduate programs. With approximately 28,000 students enrolled, Baker College is the largest independent not-for-profit college in Michigan. Baker offers courses out of its main campus in Flint as well as 13 additional campuses and centers. The Higher Learning Commission of the North Central Association of Colleges and Schools provides regional accreditation for the school. Program Details: Baker has an extensive list of 100% online programs. With regards to the field of public safety, the school has three online programs: a B.S. in Criminal Justice, an A.A.S. in Emergency Services Management, and a Bachelor of Information Technology and Security. Online courses are usually six weeks. Most weeks students have reading assignments, reflect on the subject matter in the online discussion forums, and submit assignments to the professor. Baker operates on the quarter system. The duration of the online program is 99 credits for the A.A.S., 186 credits for the B.S., 191-195 for the Bachelor of Information Technology and Security program. Tuition for online undergraduate programs is $230 per credit ($42,780 for 186 credits). Notable Recognition: The college is #19 on GetEducated.com’s list of Best Online Bachelors Criminal Justice programs in terms of affordability. The U.S. News and World Report ranks the school #164 on the list for top online undergraduate programs. The public comprehensive university of New Mexico State University has a main campus in Las Cruces, New Mexico. The school has four additional campuses, a satellite center in Albuquerque, and a presence in all of New Mexico’s 33 counties. New Mexico State University is accredited by the Higher Learning Commission of the North Central Association of Colleges and Schools. Program Details: NMSU offers an online Master of Criminal Justice as well as an online Bachelor of Criminal Justice completion program. Students admitted to the online undergraduate program must have already attained Sophomore status and have completed all lower division course for the degree plan. Only upper level courses are available online. Students need to accumulate 128 applicable credits in order to meet the requirements of the bachelor’s degree. Tuition and fees for the online undergraduate program is approximately $3,286.50 for residents of New Mexico who are taking 15 credits. The rate for a non-resident in the same situation is approximately $10,329.00. Notable Recognition: GetEducated.com ranks New Mexico State #17 on the list for most affordable online criminal justice bachelors degrees. U.S. News and World Report ranks the school #120 on the list for top online bachelor programs. Each year over 8,000 students enroll in courses at Herzing University. The for-profit institution has been providing education since 1965 and has 11 locations throughout the United States. Herzing is accredited by the Higher Learning Commission and is a member of the North Central Association of Colleges and Schools. Program Details: Herzing has an online Associate of Science & Associate of Applied Science in Criminal Justice Gainful Employment, an online B.S. in Criminal Justice, and an online B.S. in Homeland Security and Public Safety. Most of the B.S. programs are 122 credits. The B.S. in Criminal Justice With a Concentration in Supervision and Management is 121 credits. The semester tuition rate for a full-time students taking 12-15 hours is $6,010. Notable Recognition: The university is #102 on U.S. News and World Report’s list for top online undergraduate programs and #35 on GetEducated.com’s list for affordable online undergraduate criminal justice degrees. Post University has a 120 year history of providing education to prepare students for successful careers. The for-profit institution of higher educations has over 8,000 students enrolled. The university is located in Waterbury, Connecticut and is accredited by the New England Association of Schools and Colleges (NEASC). Program Details: Students interested in careers in criminal justice, public safety, or the legal profession have a variety 100% online programs that are offered by Post. Students can choose among A.S. degrees in Criminal Justice or Legal Studies, B.S. degrees in Legal Studies or Criminal Justice, a B.S. in Emergency Management & Homeland Security, and can tack on a minor in Legal Studies or Criminal Justice to many of the online bachelor’s degrees. The B.S. degrees are 120 credits and cost $570 per credit ($68,400 for the entire degree). Notable Recognition: U.S. News and World Report ranks Post #108 on the list for best online undergraduate programs. The university is ranked #37 on GetEducated.com’s list of Online Criminal Justice Bachelors Degrees regarding affordability. In 1937 a school named the American Institute of Commerce opened in Davenport, Iowa to provide coursework to prepare students for the workplace. In 1999 the school was one of the first institutions to offer online education. In November of 2000 the organization was acquired by Kaplan, Inc. and became Kaplan College. With the introduction of graduate courses in 2004, the school became Kaplan University. Today the for-profit university has nearly 45,000 students enrolled and is regionally accredited by the Higher Learning Commission of the North Central Association of Colleges and Schools. Program Details: Kaplan offers eight online programs in criminal justice including certificates, one associates degree, one bachelor’s degree, and two master’s degrees. The online B.S. in Criminal Justice is 180 quarter-credits. Students can choose to take courses exclusively online or to take up to 50% of the courses at a regional campus. Using online technology the faculty strives to created an engaging and interactive environment. The B.S. degree has six areas of emphasis: Corrections, Crime Scene Investigation, Forensic Psychology, Homeland Security, Juvenile Justice, and Law Enforcement. Tuition is for the B.S. is $371.00 per credit or $66,780.00 for the entire degree. Notable Recognition: The university is #40 on GetEducated.com’s list for affordable online undergraduate criminal justice degrees and #56 on U.S. News and World Report’s list for top online undergraduate programs. Saint Leo University is a private Roman Catholic liberal arts university located in Saint Leo, Florida. There are over 16,000 students enrolled in the university from all 50 states and from more than 60 countries. Accreditation is provided by the Southern Association of Colleges and Schools Commission on Colleges. Program Details: The university offers a variety of online criminal justice programs: an A.A. in Criminal Justice, a B.A. in Criminal Justice, an M.S. in Criminal Justice, and a certificate program. The B.A. is a 120 credit liberal arts-based program that is offered exclusively online. The courses are facilitated via a combination of video, audio, CD-ROM, online discussion boards, and through a education social network called iRoar. All Saint Leo University students have access to free online tutoring which is available 24/7. Tuition for online associate and bachelor degrees is $470 per credit ($28,200 for a 60 hour A.A. and $56,400 for a 120 hour B.A.). For over 65 years the University of Maryland University College has been providing distance education for students around the world. The public, state university with a headquarters in Adelphi, Maryland has around 85,000 students enrolled globally. Accreditation is provided by the Middle States Commission on Higher Education. Program Details: UMUC offers a handful of 100% online programs that emphasize criminal justice or security. Students can get an online Bachelor of Science in areas such as Criminal Justice, Legal Studies, Investigative Forensics, Cybersecurity, and Software Development and Security. Each bachelor degree is 120 hours and can be earned with a variety of minors in the field of criminology. UMUC offers rolling admission, multiple start dates, and 24-hour tech support. Total tuition for the 120 credit online B.S. programs is $31,920 for residents of Maryland and $59,880 for non-residents. Notable Recognition: The university is on GetEducated.com’s list of Best Online Bachelors Criminal Justice. The online criminal justice program program is #10 on the list in terms of affordability. Northwestern State University of Louisiana is a public university with a main campus located in Natchitoches, Louisiana. The university also has a nursing campus in Shreveport and general campuses in Leesville/Fort Polk and Alexandria. Northwestern has approximately 9,000 students enrolled and is accredited by the Southern Association of Colleges and Schools of the Commission on Colleges. Program Details: Northwestern offers various online options in the field of criminal justice. There is a Post Master’s Certificate in Global Security and Intelligence, an M.S. in Homeland Security, an M.A. in Adult Education with a Homeland Security concentration, a B.A. in Criminal Justice with an optional concentration in Prelaw and Paralegal Studies and a B.S in Unified Public Safety Administration with three optional concentrations. The duration of the undergraduate degrees is 123 hours for the B.S. and 120 for the B.A. Undergraduate tuition for online courses fluctuates depending on the the number of credits a students is taking. For example, tuition and fees per semester for a student taking 12 credits of online undergraduate courses is $3,207.30 while tuition for a student taking 3 credits of online undergraduate courses is $911.45. Notable Recognition: U.S. News and World Report places the university at #108 on the list for top online undergraduate degrees. Founded in 1885 by the Southwest Conference of the Methodist Episcopal Church, Southwestern College is a private college in Winfield, Kansas. Impressively, 100% of the nearly 1,700 students enrolled receive some form of financial aid. Southwestern is accredited by the Higher Learning Commission and a member of the North Central Association. Program Details: Southwestern has two online bachelor’s degrees in the field of criminal justice and an online M.S.in Security Administration. The online undergraduate degrees are in Criminal Justice and in Security Management. Both programs require a minimum of 124 credits. Online courses at the college last for 6-weeks ensuring students the ability to not only be flexible but move at a quick and manageable rate. Tution for the online undergraduate programs is $427.00 per credit ($250 per credit for active duty military personnel and their spouses). Notable Recognition: U.S. News and World Report ranks Southwestern College #112 on the list for top online undergraduate degree programs. One of New Jersey’s 11 senior public institutions of higher education, Thomas Edison State College is a public college located in Trenton, New Jersey. Nearly 21,000 students are enrolled in programs at the college. Accreditation is provided by the Middle States Commission on Higher Education. Program Details: Thomas Edison offers a 120 hour Bachelor of Art in Criminal Justice online. All programs at Thomas Edison are designed exclusively for adults. This means that the faculty and administration has much experience working with students who are striving to succeed academically while juggling responsibilities with work and family. Courses are facilitated by mentors on a 12-week timeline. Students take proctored final exams at locations convenient to them. Students from New Jersey pay $407 per credit ($48,840 for 120 credits). All other students pay $491 per credit ($58,920 for 120 credits). Notable Recognition: The university is on GetEducated.com’s list of Best Online Bachelors Criminal Justice. The online criminal justice program program is #4 on the list in terms of affordability. Waldorf College was founded in 1903 by Norwegian Lutherans. The for-profit, liberal arts college offers a wide range of degrees from its campus in Forest City, Iowa. Approximately 1,150 students are enrolled in the college. The Higher Learning Commission of the North Central Association of Colleges and Schools provides regional accreditation for the school. Program Details: The college has a wide range of online programs for students who are interested in the fields of criminal justice and public safety. The school offers an A.A., a B.S. and a B.A.S. in specifically in Criminal Justice. Furthermore, there are criminal justice related concentration options in various fields. For example, a student could get a B.A.S. in Psychology with a Criminal Justice concentration, an M.A. in Organizational Leadership with a concentration in Criminal Justice, and a B.A.S. in Homeland Security with a concentration in Criminal Justice. Most bachelor’s degrees at Waldorf are 120 credits and take four years for full-time students to finish. Tuition is $275 per credit for online undergraduate programs ($33,000 for 120 credits). Notable Recognition: Waldorf is on GetEducated.com’s list of Best Online Bachelors Criminal Justice. The online B.S. program is #11 on the list in terms of affordability. Missouri Southern State University is a public university located in the southwestern corner of Missouri in the town of Joplin. Nearly 5,700 students are enrolled in the university. The Higher Learning Commission of the North Central Association of Colleges and Schools provides accreditation. Program Details: The university has a distance learning Associate of Science in Law Enforcement degree as well as a distance learning Bachelor of Science in Criminal Justice Administration degree. The B.S. degree has two areas of emphasis: Criminal Justice and Juvenile Justice. Both tracks of the B.S. are 124 credits and can be completed 100% through online courses. Notable Recognition: MSSU is on GetEducated.com’s list of Best Online Bachelors Criminal Justice. The online B.S. program is #7 on the list in terms of affordability. Located in Terre Haute, Indiana, Indiana State University is a public university with nearly 12,500 students enrolled. The main campus has a faculty to student ratio of 1 to 20. The school is accredited by The Higher Learning Commission of the North Central Association of Colleges and Schools. Program Details: Indiana State has three online degrees in the field of criminal justice: an M.A. and an M.S. in Criminology and Criminal Justice as well as a B.S. in Criminology and Criminal Justice. The online undergraduate program is a completion program that is intended for transfer students. Applicants must have an applicable Associate of Science degree or 60 applicable credits from a regionally accredited school. The major is 100% online. Indiana residents pay $298 per credit for up to 11.5 credits per semester and $4,108.00 per semester for 12-18 credits. Non-residents pay $373 per credit for up to 11.5 credits per semester and $5,135.00 per semester for 12-18 credits. Notable Recognition: GetEducated.com places Indiana State University on the Best Online Bachelors Criminal Justice list. The program is #14 on the list in terms of affordability. Keiser University is a private, not-for-profit institution with a main campus in Fort Lauderdale, Florida and over 10 additional Florida campuses. Over 17,000 students are enrolled in the main campus every year. Accreditation is provided by the Southern Association of Colleges and Schools, Commission on Colleges. Program Details: The university has an online Associate of Arts degree in Criminal Justice, an online Bachelor of Arts in Homeland Security, and an online Bachelor of Arts in Criminal Justice. Both online B.A. programs are 120 credits in length. Students take one class at a time and tend to finish the degree in around 40 months. Tuition and fees for undergraduate degrees at Keiser are around $16,300 per year according to the National Center for Education Statistics. Notable Recognition: U.S. News and World Report ranks Keiser University #40 on the list for best regional colleges in the south. Positioned a few blocks off the banks of the Mississippi River in Cape Girardeau, Missouri, Southeast Missouri State University’s has around 12,000 students enrolled. The university also has regional campuses located in Sikeston, Malden, Kennett and Perryville. The Higher Learning Commission of the North Central Association of Colleges and Schools provides accreditation. Program Details: Southeast Missouri State University has two online degrees in criminal justice: a Master of Science in Criminal Justice and a Bachelor of Science in Criminal Justice. Anyone majoring in Criminal Justice must also complete a minor area of study. Some of the most popular minors for Criminal Justice majors are Criminology, Sociology, Cybersecurity, Foreign Language, Accounting, Social Work, and Social Rehabilitation and Treatment. Online courses at the university are facilitated using various tools such as web pages, PowerPoint slides, PDF or Word documents, video files, audio files, and discussion forums. Tuition is $231.25 per credit hour for residents of Missouri and $409.00 per credit hour for non-residents. Notable Recognition: The school is ranked #65 on U.S. News and World Report’s list for best online bachelor’s programs. Austin Peay State University is a public university with a main campus in Clarksville, Tennessee and extension centers in Fort Campbell, KY and Springfield, TN. The school has approximately 13,400 students enrolled. Austin Peay State University is accredited by the Commission on Colleges of the Southern Association of Colleges and Schools. Program Details: The university offers an online Bachelor of Science in Criminal Justice with an emphasis in Homeland Security. While the online courses offer students flexibility in their study times and locations, most professors provide specific dates for completing assignments and taking tests. Furthermore, some online professors require students to participate in online discussions at specific times. The degree is 120 hours and costs $344 per credit ($41,280 for 120 hours). Notable Recognition: GetEducated.com places Austin Peay on the Best Online Bachelors Criminal Justice list. The program is #18 on the list in terms of affordability. Indiana Wesleyan University is a private, evangelical Christian university in Marion, Indiana. Approximately 15,000 students are enrolled in courses through IWU. Higher Learning Commission of the North Central Association of Colleges and Schools provides accreditation. Program Details: The university offers an online Criminal Justice Certificate, an online Associate Degree in Criminal Justice, and an online Bachelor of Science in Criminal Justice. The B.S. degree is a bridge program purposed to give students who have at least 60 transferable credits the opportunity to complete an entire 124 hour B.S. program. Tuition for the online B.S. in Criminal Justice is $357 per credit. Notable Recognition: Indiana Wesleyan University is #79 on Kiplinger’s list for Best College Value. Florida Institute of Technology is a private research university located in Melbourne, Florida on 130 subtropical acres. Over 5,600 students are enrolled in the school. The Southern Association of Colleges and Schools Commission on Colleges provides accreditation. Program Details: The university has two undergraduate criminal justice degrees facilitated in an online format: Associate of Arts in Criminal Justice and A Bachelor of Arts in Criminal Justice. The B.A. degree is 121 credits, 100% online and offers an optional concentration in Homeland Security. Tuition is $510 per credit ($61,710 for 121 credits). Notable Recognition: U.S. News and World Report ranks Florida Institute of Technology #48 on the list for best online bachelor’s programs. With a primary emphasis on adult education, Bellevue University is a private, not-for-profit university that has been providing quality education since 1966. The school is located in Bellevue, Nebraska and is home to nearly 10,000 students. The Higher Learning Commission of the North Central Association of Colleges and Schools provides accreditation. Program Details: Bellevue offers an accelerated online Bachelor of Science in Criminal Justice as well as a handful of online graduate degrees in the field. Students need to complete an associate degree or approximately 60 applicable credits to be awarded entrance into the accelerated B.S. program. In total, students must earn 127 credits including those transferred into the program in order to graduate. Students can complete the 40 hours required for the major in as few as 18 months. Tution for the online B.S. in Criminal Justice is $385 per credit. Notable Recognition: GetEducated.com ranks Bellevue #26 on the list for most affordable online criminal justice bachelors degrees. U.S. News and World Report ranks the school #18 on the list for top online bachelor programs. LeTourneau University is a private Christian school located in the East Texas town of Longview. Founded in 1946 to help educated WWII veterans returning home from the war, the school now has nearly 2,800 students and awards associate’s degrees, bachelor’s degrees, and master’s degrees. The Southern Association of Colleges and Schools provides accreditation. Program Details: The university offers an online Associate of Science in Criminal Justice (63 credits), an online Bachelor of Science in Criminal Justice (126 credits), and an online Bachelor in Criminal Justice (124 credits). The online bachelor’s degrees have three specializations: Human Trafficking, Homeland Security, and Justice Administration. Courses are 100% online. The accelerated class format allows students to finish each course in just five weeks. Coursework begins each week on Monday and most assignments are due the following Sunday by midnight. Tuition for the programs is $440 per credit hour ($55,440 for 126 hours). Notable Recognition: GetEducated.com places LeTourneau University on the Best Online Bachelors Criminal Justice list. The program is #25 on the list in terms of affordability. Founded in 1819, Norwich University is the oldest private military college in the United States. Students do not need to be in the military to attend the school. Norwich University is in Northfield, Vermont and has nearly 3,500 students enrolled. Accreditation is provided by the New England Association of Schools and Colleges, Inc. through its Commission on Institutions of Higher Education (CIHE). Program Details: Norwich’s online Bachelor of Science in Criminal Justice is a completion degree that requires a minimum of 60 applicable credits to begin. Students can transfer to 84 semester credits into the program and complete the criminal degree in 18 to 24 months. The courses are self-paced. Students can enter into the program at the start of the fall, spring, or summer sessions. Students must complete a minimum of 123 credits to graduate from the program. Tuition for the B.S. degree is $375 per credit. Notable Recognition: U.S. News and World Report ranks Norwich University #37 on the list for top online bachelor’s programs. Positioned on the southwestern shores of Lake Bemidji in the town of Bemidji, MN, Bemidji State University is a public university affiliated with the Minnesota State Colleges and Universities. Approximately 5,000 students are enrolled in the university. The Higher Learning Commission provides accreditation for the university. The school is a member of the North Central Association of Colleges and Schools. Program Details: Bemidji State University has an online Bachelor of Science in Criminal Justice program. Students can complete the 120 hour degree in its entirety online. Courses are facilitated through things like e-mail, chat rooms and newsgroups. Students can choose among four specializations: Law Enforcement, Corrections, Criminal Justice with an internship, or Criminal Justice without an internship. Tuition for online undergraduate programs starts at $249.85 per credit. Notable Recognition: The university is ranked #194 on U.S. News and World Report’s list for best online undergraduate programs. Furthermore, it is ranked #16 on GetEducated.com’s list for Most Affordable Online Criminal Justice Bachelors Degrees. With five regional campus, a main campus in Athens, Ohio, and various online programs, Ohio University is a public research university that effectively educates over 35,000 students a year. The main campus has a faculty to student ratio of 1 to 18. Ohio University is accredited by the Higher Learning Commission (HLC) of the North Central Association (NCA) of Colleges and Schools. Program Details: Ohio University offers an online Bachelor of Criminal Justice completion program. The online program designed for associate degree graduates. The associate degree must be in the criminal justice field and received from a school that is regionally accredited. Students can begin in fall, spring, or summer and can finish the completion program in as few as two years. Tuition for the program is $240 per credit for residents of Ohio and $243 per credit for non-residents. Notable Recognition: GetEducated.com places Ohio University on the Best Online Bachelors Criminal Justice list. The program is #23 on the list in terms of affordability. With a main campus in Flagstaff, Arizona, and 34 extended campuses in the rest of the state, Northern Arizona University is a public university with nearly 28,000 students. NAU was founded in 1899. Accreditation is provided by the Higher Learning Commission (HLC) of the North Central Association (NCA). Program Details: Northern Arizona offers a variety of criminal justice oriented degrees in the online format. There is a B.S. in Criminology and Justice, a Bachelor in Justice Studies, a Bachelor of Applied Science with a Criminal Justice specialization or a Law Enforcement Management specialization, and a Bachelor of Interdisciplinary Studies with specializations in Criminal Justice or Law Enforcement Management. While each degree plan has different requirements, they are each 120 credits in length. The tuition at NAU is $362 per credit for online undergraduate degrees ($43,440 for 120 credits). Notable Recognition: GetEducated.com ranks NAU #20 on the list for most affordable online criminal justice bachelors degrees. U.S. News and World Report ranks the school #97 on the list for top online bachelor’s programs. Nearly 50,000 students are enrolled in the main campus of Arizona State University which is in Tempe, Arizona. The public research university also offers degrees from several extension campuses and online. ASU is accredited by the Higher Learning Commission and is a member of the North Central Association of Schools and Colleges. Program Details: Arizona State has several online options in the field of criminal justice. The school offers an online undergraduate certificate in Homeland Security and an online graduate certificate in Law Enforcement Administration. Furthermore, ASU offers a Bachelor of Science in Criminal Justice & Criminology and a Master of Arts in Criminal Justice, both of which are administered online. The B.S. program is a 120 hour degree costing $480 per credit ($57,600 total). Notable Recognition: Open Education Database ranks ASU’s online criminal justice program #5. U.S. News and World Review ranks the school #9 on the list for top online bachelor programs. Sam Houston State University is located in the piney woods of east Texas in the town of Huntsville. The university was founded in 1879 and has over 19,000 students enrolled. The university is accredited by the Southern Association of Colleges and Schools (SACS). Program Details: Sam Houston has one of the largest criminal justice programs in the United States. Through the College of Criminal Justice, the university offers several online programs: a B.A. in Criminal Justice, a B.S. in Criminal Justice, a Graduate Certificate in Criminal Justice Leadership and Management, an M.S. in Criminal Justice, an M.S. in Criminal Justice Leadership and Management, and an M.S. in Victim Services Management. The online B.S. and B.A. programs are each 120 hours. Enrollment is in the fall, spring, and summer. Tuition and fees for the online bachelor criminal justice programs are $382 – $424 per credit ($45,840 – $50,880 for a 120 hour degree). Notable Recognition: GetEducated.com places Sam Houston State University on the Best Online Bachelors Criminal Justice list. The program is #47 on the list in terms of affordability. U.S. News and World Report ranks the undergraduate online programs at the university #41. Upper Iowa University is a private university with its main campus located in the rural community of Fayette, Iowa. The school has approximately 6,300 students enrolled. The University is accredited by The Higher Learning Commission and is a member of the North Central Association of schools. Program Details: The university offers an online Associate Criminal Justice and an online Bachelor of Science in Criminal Justice. The .B.S. degree is 100% online. In total, the degree is 120-credits. Online courses at Upper Iowa are offered in an accelerated manner with six, 8-week terms each year starting in August, October, January, March, May, and July. Students can start the program in any term throughout the year. Tuition for online programs at UIU is $340 per credit ($40,800 for 120 credits). Notable Recognition: U.S. News and World Report ranks Upper Iowa University #61 on the list for best online undergraduate programs. The university is ranked #22 on GetEducated.com’s list for Most Affordable Online Criminal Justice Bachelors Degrees. With its primary campus in Philadelphia, Pennsylvania, Drexel University is a private research university with a total student population of over 26,000. Drexel was founded in 1891 by the philanthropist and financier Anthony J. Drexel. In addition to the campus in Philadelphia, the school operates out of several extension campuses in Pennsylvania, a campus in Sacramento, California and globally through online degrees. The the Middle States Commission on Higher Education provides accreditation. Program Details: Drexel University offers an online Graduate Certificate in Criminal Law and an online B.S. in Criminology and Justice Studies. The B.S. program is self-paced and can be completed completely online. Students may only enroll in this program as a part-time student. In total, the degree is 182-credits because Drexel is on a quarter system. Most students take one to two classes per quarter. Tution for the B.S. program is $440 per credit ($80,080 for 182 credits). Notable Recognition: Drexel is ranked #42 on GetEducated.com’s list for most affordable online criminal justice bachelors degrees. U.S. News and World Report ranks the school #37 on the list for top online bachelor’s programs. Open Education Database ranks Drexel’s online criminal justice program #7. The University of Oklahoma is a public research university located in Norman, Oklahoma. Founded in 1890, the university has over 27,000 students enrolled. The Higher Learning Commission provides accreditation. Program Details: The College of Liberal Studies at the University of Oklahoma houses a Master of Science in Criminal Justice and a Bachelor of Science in Criminal Justice. Both programs are offered 100% online. All undergraduate courses in the B.S. program are designed at an accelerated pace – meaning each course is 8-weeks long. Most students choose to take 4 courses (or 12 credit hours) a semester. While the program is technically 120-credits, students who enter into the program meeting all of the general elective credit hours only need to complete 39 major hours. Most students finish the program in 4-5 years. Tuition and fees for the B.S. program total $284.85 per credit for residents of Oklahoma ($34,182 for 120 credits) and $710.65 per credit for non-residents ($82,278 for 120 credits).. Notable Recognition: The online criminal justice programs at OU is ranked #2 by the Open Education Database. The school ranks #65 on Kiplinger’s list for best value public universities and #40 on Forbes’ list of top universities in the south. Founded in 1877 by the Society of Jesus, Regis University is a private, Jesuit Roman Catholic university with a main campus in Denver, Colorado. The school has extension campuses in a couple of locations in Denver as well as in Broomfield, Colorado Springs, Loveland, and Thornton. Nearly 10,000 students are enrolled in the university. Regis is accredited by The Higher Learning Commission, a member of the North Central Association of Colleges and Schools. Program Details: Regis offers three online criminology programs: a Criminology Graduate Certificate, a B.S. Degree in Criminology, and a M.S. Degree in Criminology. The B.S. program in criminology is 128 total credits. The degree can be achieved in-class or 100% online. Online courses are accelerated and offered in five- or eight-week terms. They run simultaneously with classroom courses. This accelerated format follows a structured schedule with assignments due weekly thus the classes are not self-paced. Tuition is $460 per credit ($58,880 for 128-credits). Notable Recognition: U.S. News and World Report ranks Regis #65 on the list for best online undergraduate programs. The university is ranked #34 on GetEducated.com’s list for Most Affordable Online Criminal Justice Bachelors Degrees. Originally founded as the Norfolk Division of The College of William and Mary, Old Dominion University became an independent institution in 1962 and gained university status in 1969. The university is in Norfolk, Virginia and has approximately 25,000 students enrolled. Old Dominion University is accredited by the Southern Association of Colleges and Schools Commission on Colleges. Program Details: Old Dominion has online B.A. and B.S. degrees in Criminal Justice. The two online criminal justice degrees are 120-credits in length. Courses for these degree plans are taught online asynchronous which means that students can access course material online from any location and complete coursework at their own pace. Tuition at Old Dominion is $299 per credit hour for residents of Virginia ($35,880 for 120 credits) and $314 per credit hour for non-residents. ($37,680 for 120 credits). Notable Recognition: Old Dominion is ranked #12 on GetEducated.com’s list for most affordable online criminal justice bachelors degrees. U.S. News and World Report ranks the school #69 on the list for top online bachelor’s programs. Located in Gaffney, South Carolina, Limestone College is a private not-for-profit college that offers associate’s, bachelor’s, and master’s degrees. Approximately 3,300 students are enrolled in the college. Accreditation is provided by the Southern Association of Colleges and Schools, Commission on Colleges. 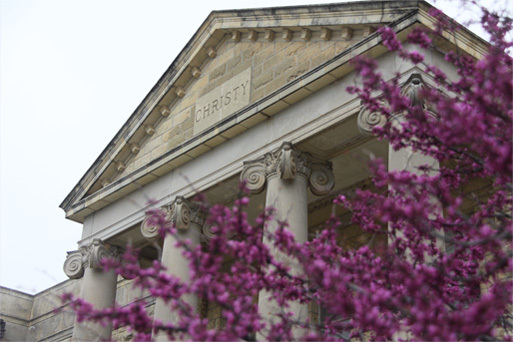 Program Details: Limestone offers a Bachelor of Arts degree in Criminal Justice online. Classes are offered in eight-week terms with six terms per year. Students can take two courses each term. Baccalaureate degrees at Limestone are a minimum of 123-credits. Tuition is $390 per credit ($47,970 for 123-credits). Notable Recognition: U.S. News and World Report ranks the school #93 on the list for best online undergraduate programs. The university is ranked #24 on GetEducated.com’s list for Most Affordable Online Criminal Justice Bachelors Degrees. Florida State University is a public research university with a campus in the state of Florida’s capital city, Tallahassee. The school has nearly 41,000 students enrolled. The Commision on Colleges of the Southern Association of Colleges and Schools provides accreditation. Program Details: Florida State offers two online criminal justice degrees: a Master of Science in Criminology and a Bachelor of Science in Criminology. The B.S. program is an online completion program. Students must have completed an Associate of Arts degree (approximately 60 hours) prior to entering the program. Most students complete the 36 hours of this bachelor’s degree within 3 to 4 years. Most FSU online courses are asynchronous. Most professors teaching the online courses also teach face-to-face courses. Tuition for undergraduate courses at Florida State is $215.55 per credit for residents of Florida and $721.10 per credit for non-residents. Distance learning students pay additional fees. Notable Recognition: The online criminal justice program at FSU is ranked #6 by the Open Education Database. U.S. News and World ranks the online bachelor’s programs at the university #120. The main campus is ranked #19 on Kiplinger’s list for best value public universities and #47 on Forbes’ list of of best schools in the south. Positioned in Cullowhee, North Carolina, Western Carolina University is a public university and a member of the University of North Carolina system. Over 10,000 students are enrolled in the university. The Southern Association of Colleges and Schools of the Commission on Colleges provides accreditation. Program Details: Western Carolina offers one online B.S. completion program in Criminal Justice. To be admitted into the program students must have one year of criminal justice experience. Furthermore, students must meet one of the following criteria: have an Associate of Arts (A.A.) degree or an Associate of Science (A.S.) degree from an accredited community college, have an Associate’s of Applied Science (A.A.S.) degree from an accredited community college, or have completed the “44 General Core” courses that satisfy the General Education/Liberal Studies requirement for a North Carolina community college. Tuition is $143.04 per credit for residents of North Carolina and $494.16 per credit for non-residents. Notable Recognition: U.S. News and World Report ranks the school #34 on the list for best online undergraduate programs. The university is ranked #1 on GetEducated.com’s list for Most Affordable Online Criminal Justice Bachelors Degrees. Columbia College is a nonsectarian co-educational private college with a main campus in Columbia, Missouri and 36 campuses nationwide. The college has more than 29,000 students enroll annually. Accreditation is provided by the Higher Learning Commission and the school is a member of the North Central Association. Program Details: The college has a variety of online programs that emphasize criminal justice such as an Associate in Criminal Justice Administration, a B.A. in Criminal Justice Administration, a Master’s in Criminal Justice, and a Crime Scene Investigation Certificate. The B.A. program is 120-credits and 100% online. Courses are held in five, eight-week sessions per year. Sessions begin in January, March, June, August and October. Much of the classroom learning takes place in online discussion forums. It is here where student-to-teacher and student-to-student interactions take place. Tuition is $260 per credit ($31,200 total tuition). Notable Recognition: The university is ranked #6 on GetEducated.com’s list for Most Affordable Online Criminal Justice Bachelors Degrees. U.S. News and World Report ranks the school #69 on the list for best online undergraduate programs. Founded in 1890, Washington State University is a public research university located in the eastern Washington town of Pullman, Washington. The university also has extension campuses in Spokane, Vancouver, Richland, and has an extensive online offering. Nearly 28,000 students are enrolled in school at the main campus. Northwest Commission on Colleges and Universities provides accreditation. Program Details: WSU offers an online Bachelor of Arts and Master of Arts in Criminal Justice. Founded in 1943, Washington State University’s criminal justice program is the second oldest continuous criminal justice program in the nation. Students must have 120-credits and a minimum of a 2.0 cumulative grade point average to graduate from undergraduate programs at WSU. Tuition for students taking 10 or fewer credits in a term is $570 per credit. Students taking 10-18 credits in a term pay $5,693 total tuition per term. Notable Recognition: The online criminal justice program at WSU is ranked #10 by the Open Education Database and #39 on GetEducated.com’s list of affordable online CJ programs. U.S. News and World Report ranks the school #21 on the list for best online undergraduate programs. Located in the town of Troy, Alabama, Troy University is a comprehensive public university. Approximately 20,500 students are enrolled in the school. Accreditation is provided by Southern Association of Colleges and Schools Commission on Colleges. Program Details: Troy University offers three online degrees in criminal justice: an Associate of Science in General Education with a specialization in Criminal Justice, a Bachelor of Science in Criminal Justice, and a Master of Science in Criminal Justice. Students need at least 120-credits to graduate with a bachelor’s degree from Troy University. The B.S. in Criminal Justice offers an optional concentration in Homeland Security. Tuition for online undergraduate courses at Troy is $326 per credit ($39,120 for 120-credits). Notable Recognition: The university is ranked #15 on GetEducated.com’s list for Most Affordable Online Criminal Justice Bachelors Degrees. U.S. News and World Report ranks the school #74 on the list for best online undergraduate programs. The University of Texas Online Consortium offers a wide variety of 100% online degrees by combining programs from various branches in the University of Texas System. According to the consortium website, the “programs provide quality education from tenured faculty with the convenience and flexibility you need to achieve your goals.” The Southern Association of Colleges and Schools (SACS) provides accreditation. Program Details: The Online Consortium offers a Bachelor’s Completion Degree in Criminology and Criminal Justice (CCJO). The program is 66-credits and is offered through UT Arlington, UT Brownsville, and UT Permian Basin with additional classes available through UT El Paso. Students enrolled in the program must complete the additional 54-credits in order to earn the full bachelor’s degree. Each class is conducted over the internet by the same faculty teaching on-campus. The cost of each course is school specific. Tuition for residents of Texas ranges from $723 to $1,016 per credit. Non-residents can expect to pay $1,808 to $2,162 per credit. Notable Recognition: UT Online Consortium is #8 on GedEducated.com’s list of Most Affordable Online Criminal Justice Bachelors Degrees. The University of Massachusetts is a public research and land-grant university with a flagship campus in Amherst, Massachusetts, three additional traditional university campuses in Boston, Darmouth, and Lowell and a medical school. UMass Online combines resources from these award winning campuses to offer high quality online degrees. New England Association of Schools and Colleges (NEASC) provides accreditation for all degrees granted at UMass. Program Details: UMass Online offers over 10 online programs in criminal justice. The bachelor’s degrees include a Bachelor of Science in Criminal Justice, a Bachelor of Arts with a Criminal Justice Concentration, and Bachelor of Arts with a concentration Advocacy and Social Justice Studies. All three programs are 100% online and 120 credits. Tuition for the three degrees ranges from $365 per credit to $385 per credit, depending on the program. Notable Recognition: UMass-Amherst is ranked #70 on Kiplinger’s Best Values in Public Colleges list and #94 on Forbe’s list of top schools in the Northeast. UMass-Dartmouth’s online bachelor’s programs are ranked #69 by U.S. News and World Report. Founded in 1991 to provide military personnel access to high quality education remotely, American Public University is a private for-profit university with a headquarters in Charles Town, West Virginia. The student body is comprised of 41% civilians and 59% military personnel/veterans. The school is accredited by the Higher Learning Commission. Program Details: APU offers over a dozen online degree programs that are related to the field of criminal justice and homeland security. The Bachelor of Science in Criminal Justice, the Bachelor of Arts in Criminal Justice, and the Bachelor of Arts in Homeland Security are 121-credits and offered exclusively online. Students can complete the programs at their own pace in four to ten years. The tuition is $250 per credit or $30,250 total. Notable Recognition: The university is ranked #9 on GetEducated.com’s list for Most Affordable Online Criminal Justice Bachelors Degrees. U.S. News and World Report ranks the school #34 on the list for best online undergraduate programs. Fort Hays State University is a public university located in Hays, Kansas. Nearly 13,500 students are enrolled in the university. Accredited is provided by the Higher Learning Commission (HLC) and the school is a member of the North Central Association of Colleges and Schools. Program Details: The university offers an online Bachelor of Arts or Bachelor of Science in Justice Studies and online Master of Professional Studies: Criminal Justice Concentration as well as a few online certificates in fields related to criminal justice. The undergraduate degrees are both completely online and 124-credits. The ACT/ACT application requirement is waived for applicants who are over 21 years old. Tuition is $186.50 per credit ($23,226 for 124-credits). Notable Recognition: U.S. News and World Report ranks the online undergraduate programs at Fort Hays #16. The online undergraduate program in criminal justice is ranked #2 on GetEducated.com’s list for Most Affordable Online Criminal Justice Bachelors Degrees. University of Wisconsin–Platteville is a public university located in Platteville, Wisconsin. Just under 9,000 students are enrolled in the school. The university is accredited by the Higher Learning Commission and is a member of the North Central Association. Program Details: For the past 35 years UW – Platteville has offered distance education. The university offers a Master of Science in Criminal Justice and a Bachelor of Science in Criminal Justice. The undergraduate program is 120-credits and is offered 100% online. Students can take up to seven years to complete the coursework. Tuition per credit is $370 regardless of residence ($44,400 for 120-credits). Notable Recognition: The online undergraduate program in criminal justice is ranked #21 on GetEducated.com’s list for Most Affordable Online Criminal Justice Bachelors Degrees. U.S. News and World Report ranks the online undergraduate programs at UW – Platteville #25. Positioned on 2,000 acres in Gainesville, Florida, the University of Florida is public land-grant, sea-grant, and space-grant university. This research university has nearly 50,000 students enrolled. Accreditation is provided by the Southern Association of Colleges and Schools, Commission on Colleges. Program Details: University of Florida offers a 100% online Bachelor of Arts in Criminology and Law. The degree is 120 credits with 34 credits focusing specifically on the courses in the major. Up to 12 credits of criminology courses can be transferred toward the major. The courses in the major are divided into three sections: four core courses taken by all students in the major, one law course that is chosen from four options, and five criminology courses. Tuition and fees for the program are $129.18 per credit for Florida residents ($15,501.60 total) and $552.62 per credit for non-residents ($66,314.40 total). Notable Recognition: U.S. News and World Report ranks the University of Florida #5 on the list for top online bachelor’s programs. The school ranks #3 on Kiplinger’s list for best value public universities and #87 on Forbes’ list of overall universities. Pennsylvania State University was founded in 1855 and is located in University Park, PA. The university is regularly ranked highly on lists for online degrees. Nearly 14,000 students are enrolled in online degree programs at the school. The Middle States Commission on Higher Education provides accreditation. Program Details: The university offers a handful of online undergraduate and graduate programs that focus on subjects of criminology, policy, law, and homeland security. Penn State’s 100% online B.S. in Criminal Justice is a 120 hour program. The format takes advantage of several technological options such as Skype, Blackboard Collaborate, email, and online discussion forums. Tution for the B.S. program is $535 to $579 per credit ($64,200 – $69,480 total). Notable Recognition: Penn State’s online criminal justice program was the first online program in the nation to be awarded certification through the prestigious Academy of Criminal Justice Sciences (ACJS). The online criminal justice program is ranked #1 by the Open Education Database and #38 on GetEducated.com’s list of affordable online CJ programs. U.S. News and World Report ranks the online bachelor programs at Penn State #3.